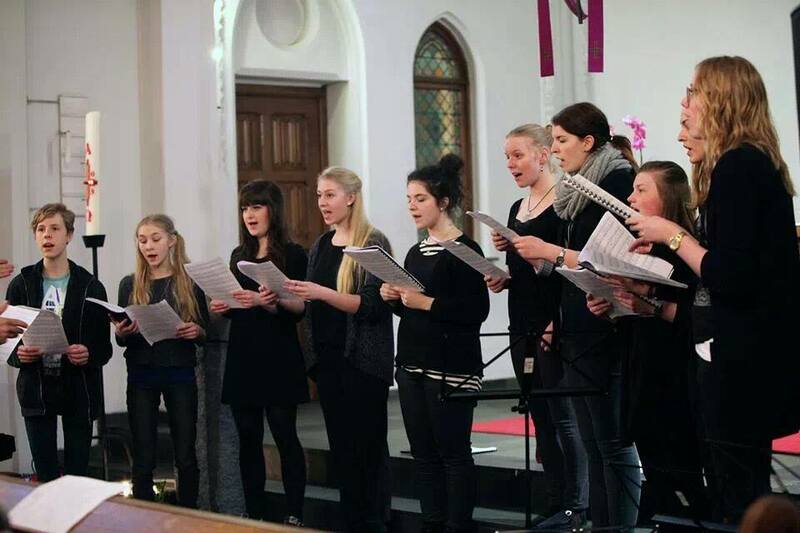 Later today I will be singing with my choir again after a very long break. I’ve been singing in this choir for.. well this year will be the 12th year, so we go waaay back. I’ve been signing there since I was 9 and some of the people from the beginning are still there. I absolutely love it! unfortunately, it is based in my birthplace, and after I moved away last summer to study, I haven’t been able to go quite as often as I would wish. But today I have decided to take a ‘study’-day off of school and go sing because it is one of the things that make me happiest. We’re already singing christmas songs as we’re getting to sing a couple of songs on a christmas CD which of course has to be ready for december. Here we are at a spring concert (I’m the one all the way to the right) – aren’t they adorable? I hope your day will be as nice as mine hopefully will.